The Speaker of the House and a seventh-grade student lit the Capitol Christmas Tree Tuesday evening. 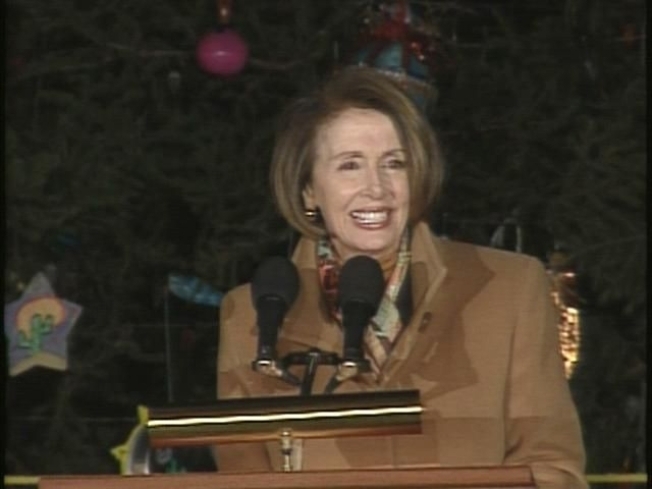 A student from Surprise, Ariz., joined Nancy Pelosi on the West Lawn of the Capitol. The United States Marine Band and the Congressional Chorus offered the entertainment at the event. The 85-foot blue spruce tree from Arizona is adorned with 6,000 ornaments made by children from the state. The tree will be lit from dusk until 11 p.m. nightly though New Year's.